Worship is first and foremost God's loving action coming to us in His Son, Jesus Christ, through His Word & Sacraments. These means do not change, as they come with God's promise of grace and forgiveness. "We love Him, because He first loved us" (1 John 4:19). Our response of prayer and praise can change, though, and often does during the course of the changing colors and seasons of the church year. Our hymns and music style often reflect the various streams of influence that have been passed down to us today as an ancient legacy from our church fathers - including that great church composer in the tradition of the Reformation, Johann Sebastian Bach, whose organ compositions have made a lasting impact worldwide - but especially on Lutheran churches (with their German heritage). 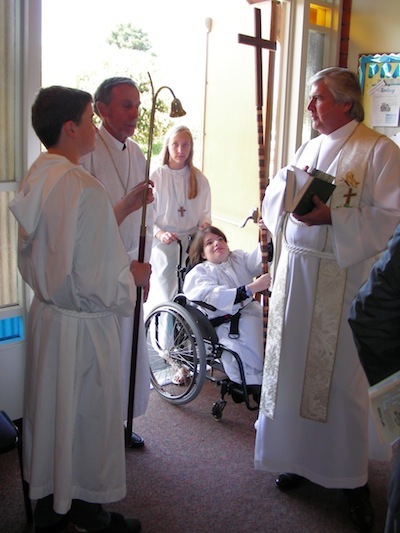 This legacy is celebrated in our Traditional Service held in our Sanctuary and includes robes, acolytes, Scripture readings and some hymns dating back even to the 4th century! With that same emphasis on God's appointed means of grace, His Word & Sacraments, our 9:30AM Service makes use of more modern instruments of praise to accompany our response back to God for the love He lavishes upon us in Christ. 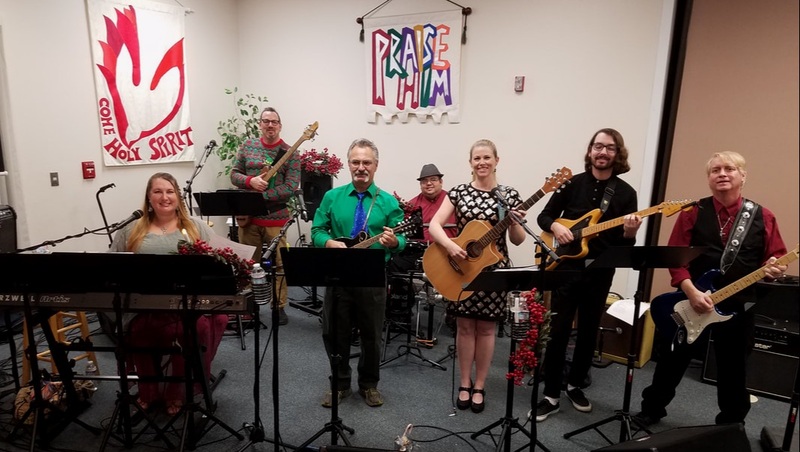 Our expanding praise band leads the musical portion of this Service with "a new song," as Scripture itself suggests in Psalm 96:1, "Sing to the Lord a new song!" You'll find yourself tapping (and clapping) along "with all of the trees of the field" (Isaiah 55:12). As with our Traditional Service, careful attention to the content of songs of worship is given so that, whatever musical form our praise may take, it may always be offered with all our heart, soul, mind & strength (Mark 12:30) in accordance with sound biblical teaching. The Church Year is an immersive experience in the life of Jesus Christ, beginning with His miraculous conception (Advent Season) and continuing through to His virgin birth, baptism, temptation, passion and glorious resurrection & ascension. Such a Christ-centered journey cannot be contained by mere Sunday Services alone (cf., Maundy Thursday & Good Friday!). So, special services throughout the year provide meaningful occasions to spill over into the rest of the week like a swollen river occasionally overflows its banks. Most notably, the preparation times of Advent & Lent (leading up to Christ's Nativity & Resurrection, respectively) provide the context for Wednesday Soup Suppers at 6pm before the seasonal 7pm Service. Click HERE for more details on midweek Services during the high feasts of the Church Year. << CLICK THE EXPAND BOX TO THE LEFT HERE to open up a Peace Confirmation student's Explanation of the Church Year (compliments of Kelly Benitz, Peace Lutheran Confirmation Class of 2012).